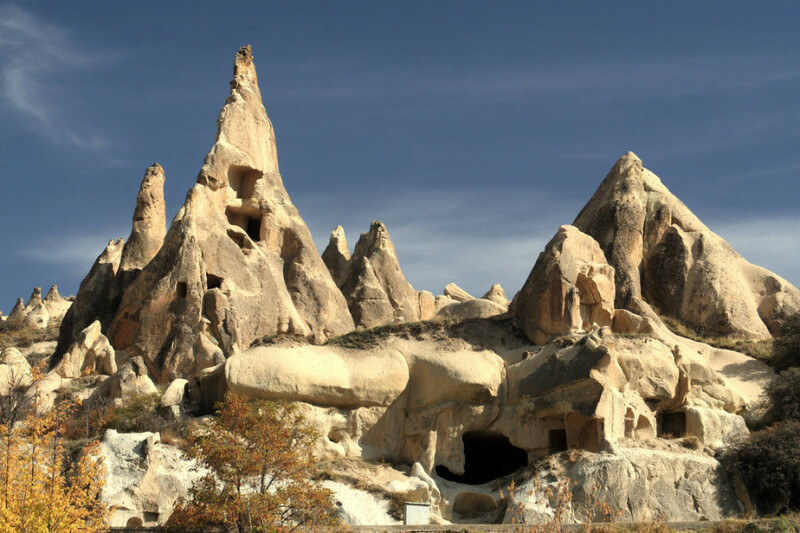 Otherworldly Cappadocia is famous for its fairy chimneys. These soft volcanic rock spires have been sculpted by erosion over the centuries, then later hallowed out to form cave homes, churches and monasteries. On a recent visit to the area, travel writer Becki Enright and a friend hiked through Cappadocia’s Pigeon Valley. The trail through the valley is one of the region’s best, winding past jaw-dropping views of dramatic cliffs and cave homes. 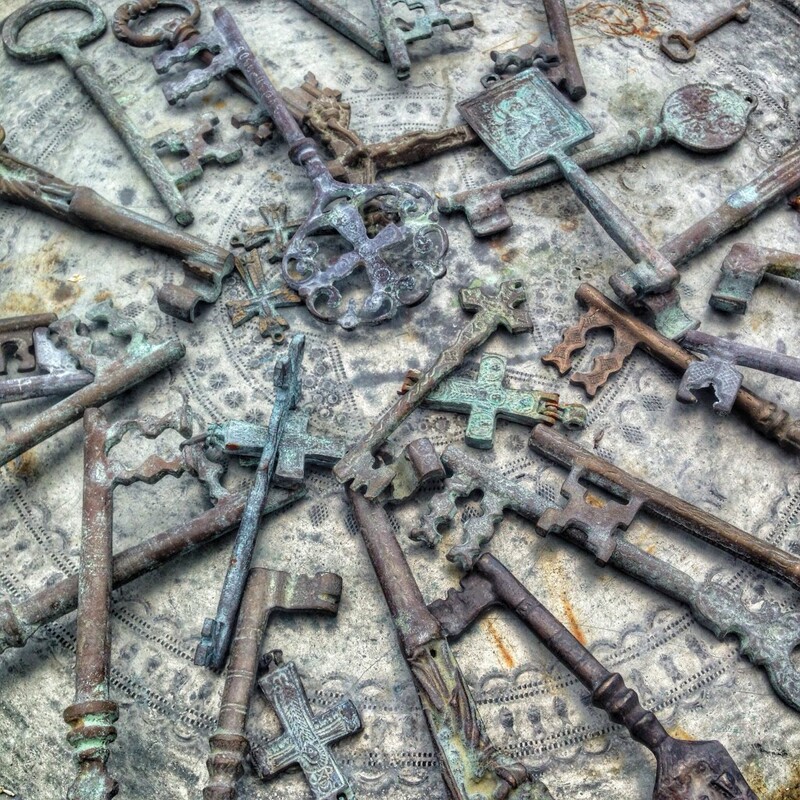 At the end of the Pigeon Valley trail, Becki and her friend came across a local souvenir market, where they found these ancient keys scattered across a vendor’s table. The elegant antique keys are worth bringing back for their decorative value alone– who wouldn’t love to hang these artfully by the door? But what makes these keys souvenir-worthy is their connection to Cappadocia– these very keys once opened the doors to the area’s cave dwellings and former churches— who knows what other mysteries they might unlock? What to buy: Antique Keys, 30 Turkish lira (about $14 USD) for two. Where to Get it: In Cappadocia, make your way through Pigeon Valley, climb up to the main road and you’ll find a small local market where Becki found the keys. What to Know: The hours of the markets may vary. Have you ever souvenir shopped in Cappadocia? Share your finds in the comments below! Thanks to Becki Enright for sharing her photo and story. 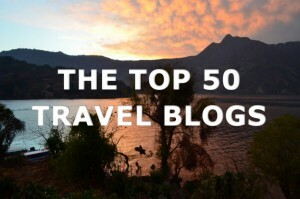 Rebecca Enright is the award-winning travel writer behind Borders of Adventure. 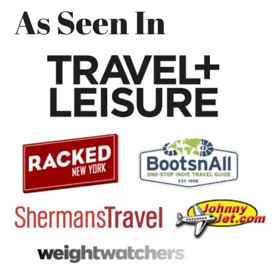 Becki’s motto is travel differently, adventurously, responsibly and with purpose. 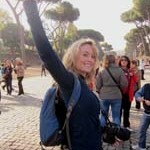 Becki’s engaging writing is unique in the travel world and focuses on changing perceptions and shedding light on misunderstood aspects of particular destinations or entire countries. Lovely place! Cappadocia is just like a dreamland. Somewhere from another world. Key photo is also look great though.